Bring your money together. Pool your resources with someone to make life easier to manage. You’ll both need a regular Monzo account already. After that, opening your joint account takes just a few minutes. No new ID checks, and no sending off lengthy applications. Just head to the settings on your account tab to get started. 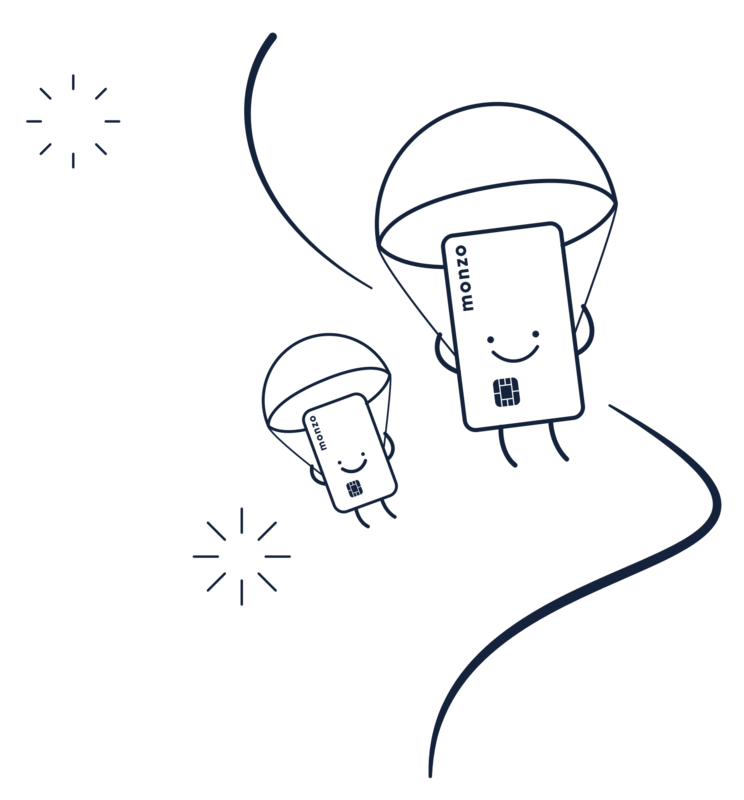 You can also switch an existing joint account over to Monzo in just a few taps - learn more here. 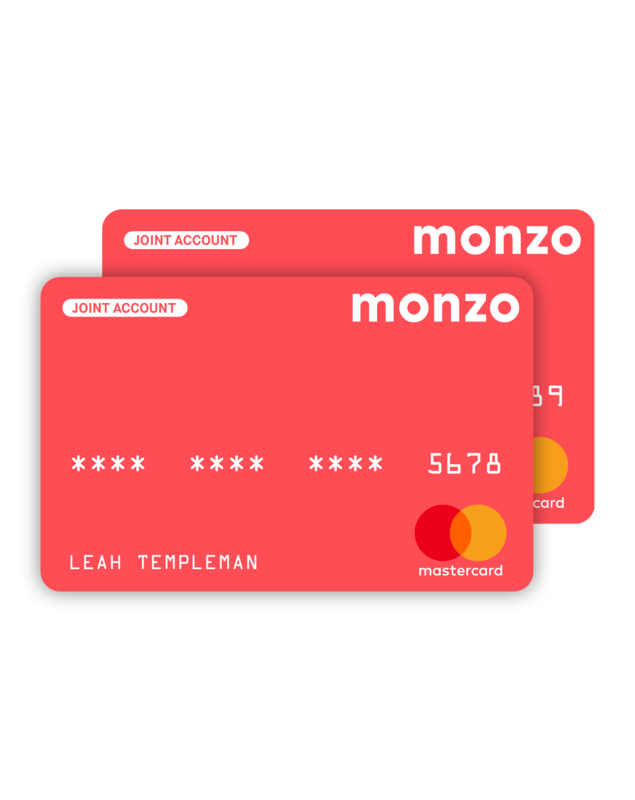 You’ll keep your personal Monzo account and card, and we’ll send you both a shiny new joint account card – with a different design so it’s easy to tell them apart. In your feed, you’ll see who’s made each transaction so it’s easy to track exactly where your money’s going. Set spending budgets for things like groceries and going out, and we’ll send you notifications if it looks like you’re spending too fast. 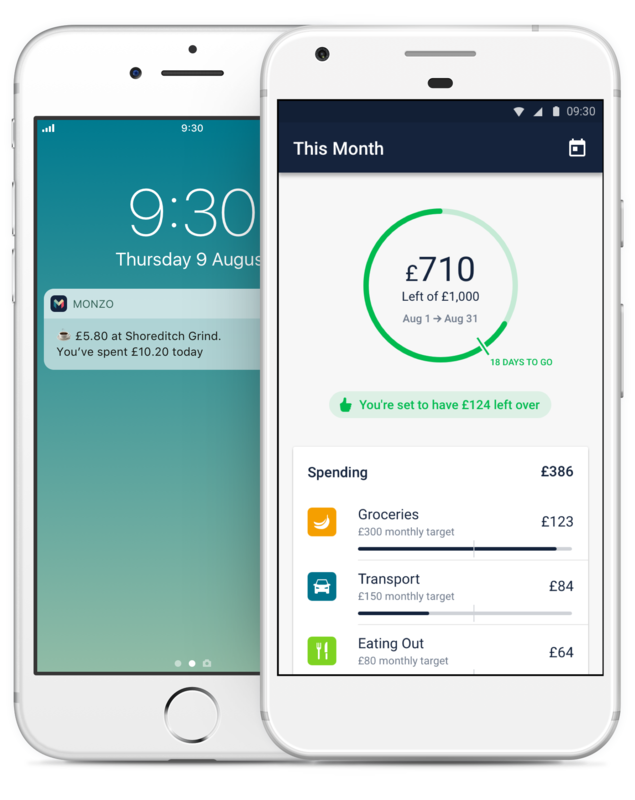 Summary gives you an instant overview of your account, with bills and other ‘committed spending’ separated out so you know how much you’ve got left to play with. When you open any joint account with someone, you become linked to them financially. That means you can be jointly credit-scored, and their credit history can have an impact on yours. Even if one of you contributes a lot more money, legally anything in the account is split 50/50. So make sure you really know and trust anyone you’re planning to open a joint account with.